To request our current show schedule or request to be added to our mailing list, please complete and submit the Contact Request Form. 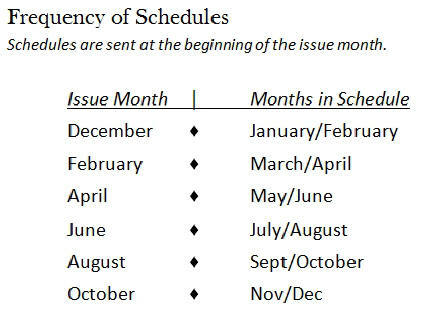 SDS show schedules are published in two month periods outlining both confirmed and tentative scheduled shows. Confirmed shows are the shows that SDS will be attending while tentative scheduled shows are being reviewed and no final decision to attend has been made at the time the schedule was published. 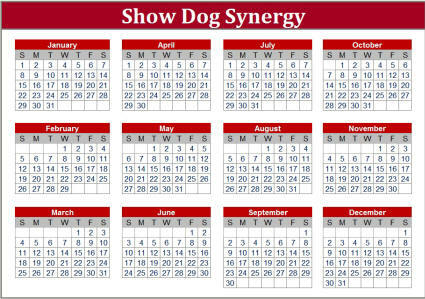 SDS identifies tentative shows to assist clients with their future show planning decisions. If you would like to have your dog shown at one of the SDS confirmed scheduled shows, please contact us prior to the show's entry closing to make arrangements for that show. For tentative shows that you would like to see SDS attend; please contact us at least two weeks before that show's entry closing date to help SDS make a final planning decision to attend that show. Occasionally there are updates or revisions to the published show schedule. Clients will receive an updated / revised schedule as soon as any and all updates have been confirmed and incorporated into the show schedule. If you are interested in our services at a National or Regional Specialty, or interested in a specific show that is not listed on our schedule; feel free to Contact Us and we will review your request. For planning purposes, inquire with your specific show request a minimum of 4 to 6 weeks prior to the show’s entry closing date.